Last night WordPress sent me a message telling me my blog is one year old! 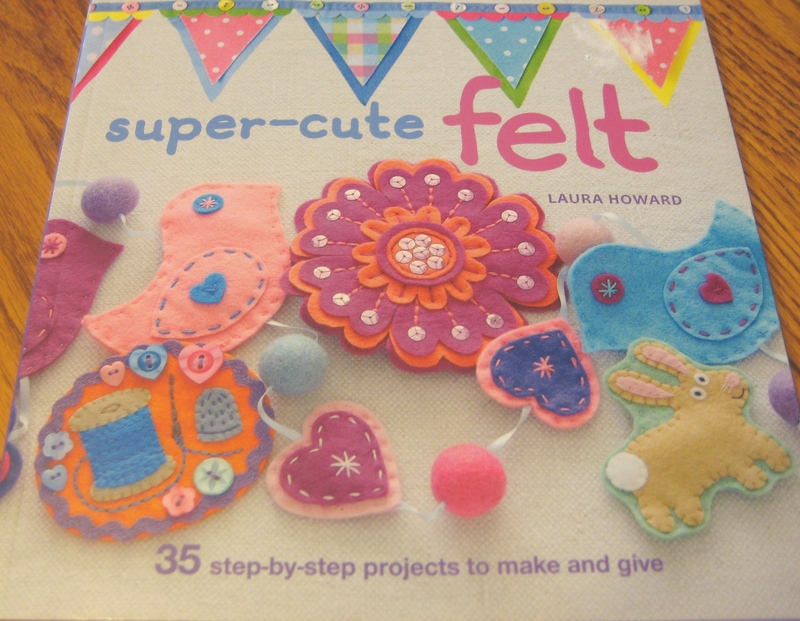 Was it a coincidence that yesterday I bought a new craft book called Super Cute Felt by Laura Howard ? I think not! And a project that caught my eye was this one? They are nice to do on a bright snowy day like today. All the white outside makes it brighter in here. I can only see to the edge of the back yard, the farmer’s field are just a white blur. 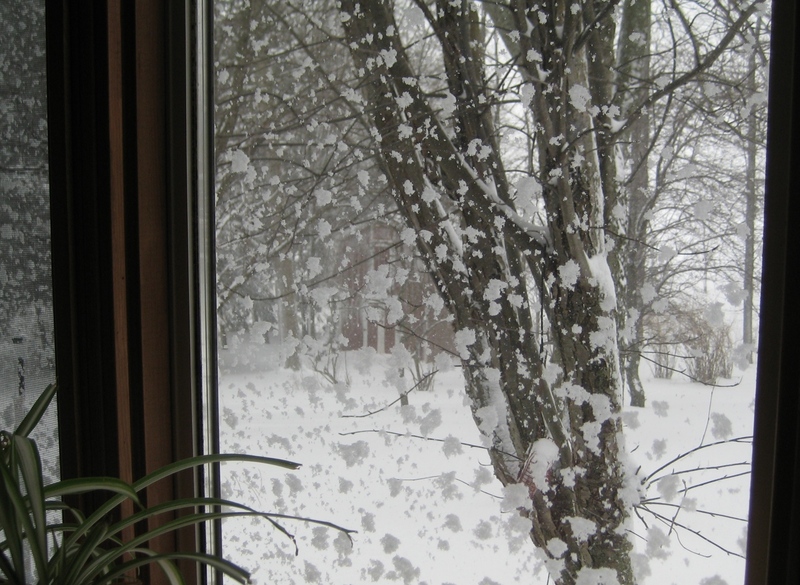 The snow is sticking to the windows. Somewhere out there is the wee barn. 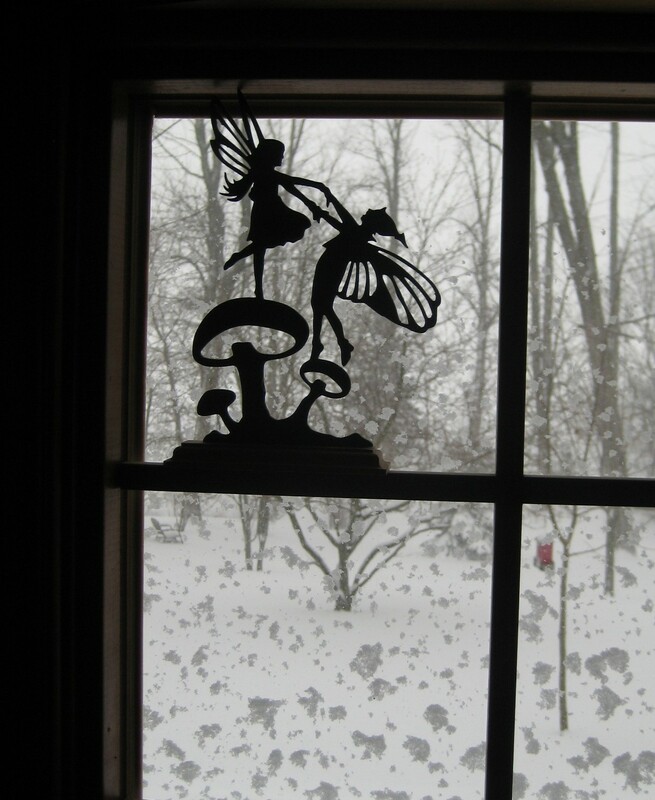 I must get out there to fill the bird feeders. It is quiet right now but there may be more snow later. The cardinals really stand out against the snow but they fly off before I can get a good picture. 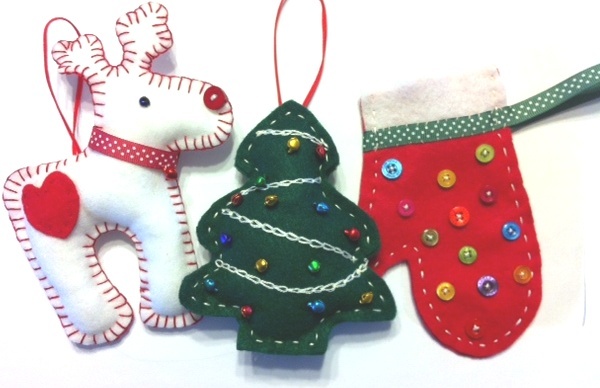 Good day for some stitching. 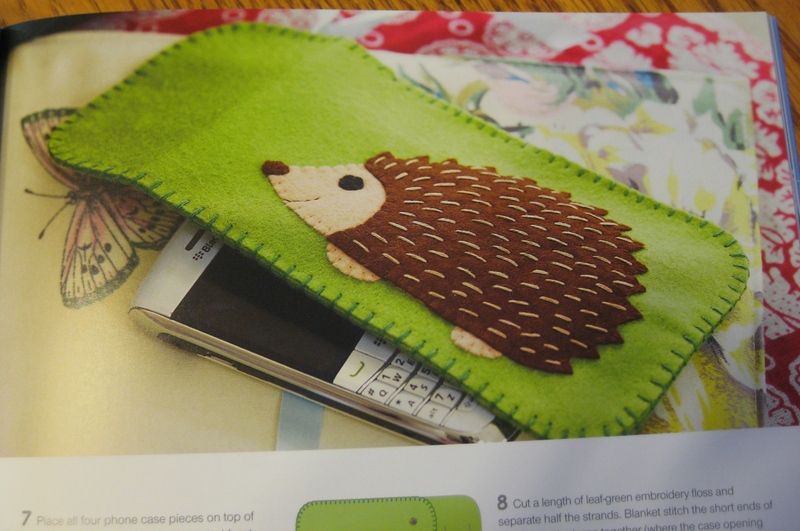 Hedgie!!!!!! And ooh snow. Yes, I’m in sunny SoCal, so snow is exciting to me 😉 Congratulations on your anniversary! Thanks again. Today is even prettier and there is lots of deep white snow and blue skies and sunshine. My favourite kind of winter day!